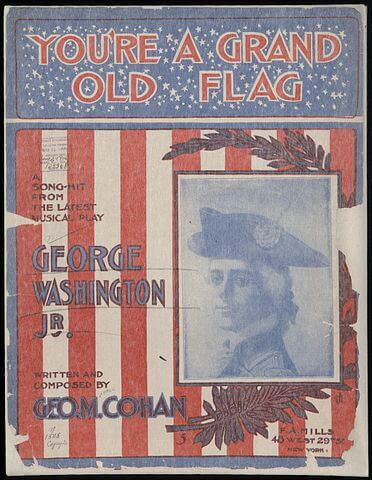 You're A Grand Old Flag was a tribute to the country's flag and a popular American march written for Cohan's musical in 1906, George Washington, Jr. . It was popularized again during World War II in the film, Yankee Doodle Dandy (1942). We feature it in American Patriotic Songs. Where there's never a boast or brag. When I'm list'ning to the music of a military band. 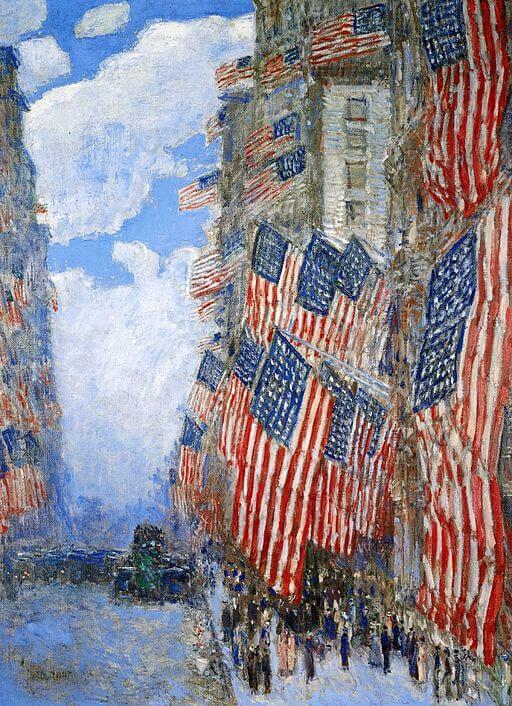 Any tune like "Yankee Doodle"
It's that patriotic something that no one can understand. Hurrah! Hurrah! We'll join the jubilee! And that's going some, for the Yankees, by gum! Honest, you're a grand old flag! And I'm mighty proud of that old flag that flies for Uncle Sam. There's a chill runs up my back that makes me glad I'm what I am. And old G.A.R., ev'ry stripe, ev'ry star. Red, White and Blue, hats off to you! Add You're A Grand Old Flag to your own personal library.